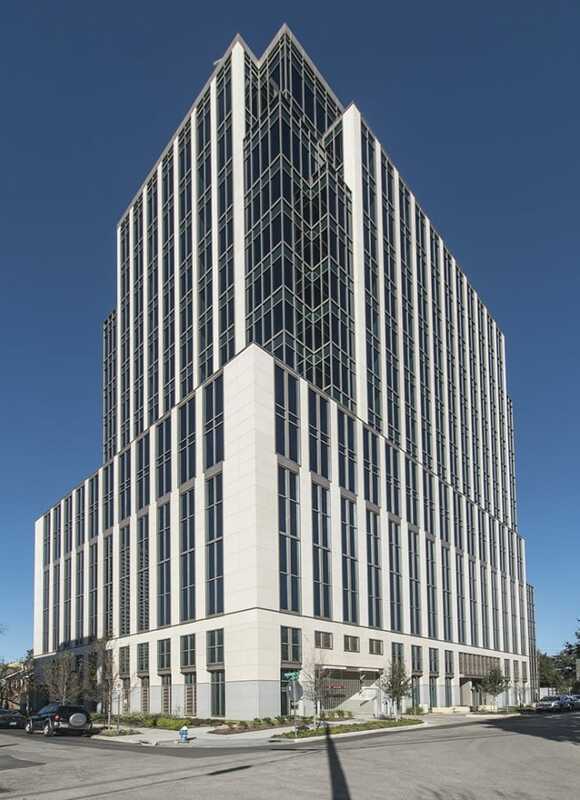 Gilbane provided construction management at-risk services for San Felipe Place, a new 17-story “boutique” office tower designed by HKS Architects. Owned and managed by Hines Corporation, the structure includes eight levels for parking and nine floors of premier office space. The building provides local tenants with the most convenient and comprehensive work environment available. Because of its close proximity to residential areas, the building was specially designed to be compatible in both neighborhood and commercial settings. The parking 400-space parking garage, measuring 160,000 SF, is enclosed with opaque spandrel hand vision glass so cars aren’t visible from the exterior. 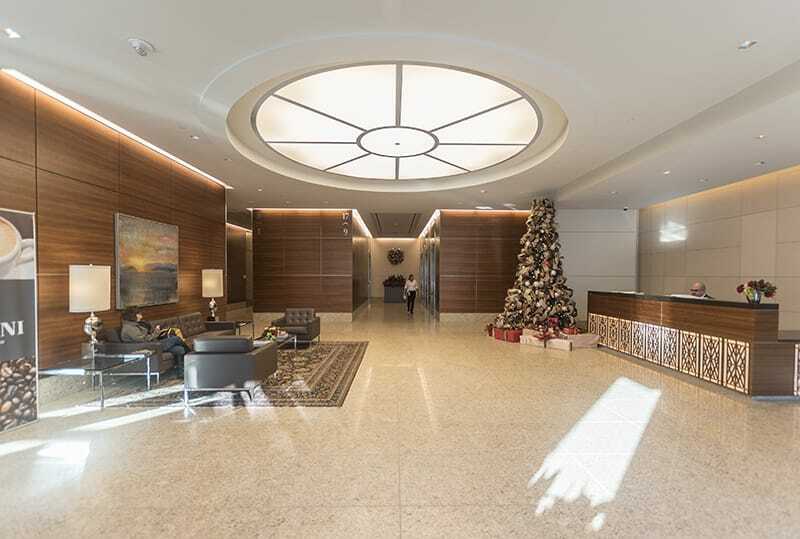 In addition to a main lobby, bank, and coffee shop, San Felipe Place contains 173,000 SF of office space including two floors of executive suites and six elevators. Mechanical equipment is situated in a sound-proof enclosure on the roof. Sidewalks shaded by trees border the building and underground detention systems will be put in place to safely manage rainwater. Workers were required to park offsite and travel in by shuttle to decrease congestion throughout construction. 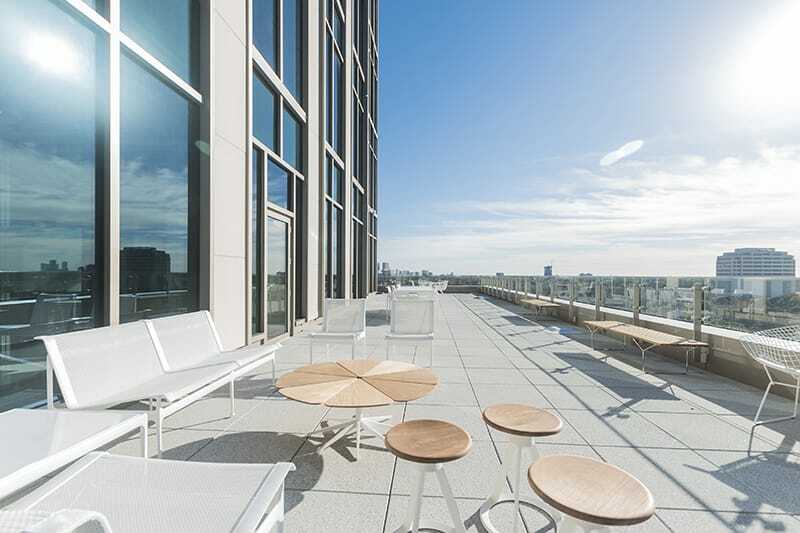 Targeting LEED Gold certification, the project recycled 76% of construction debris and employs green building design, operations, and maintenance solutions. 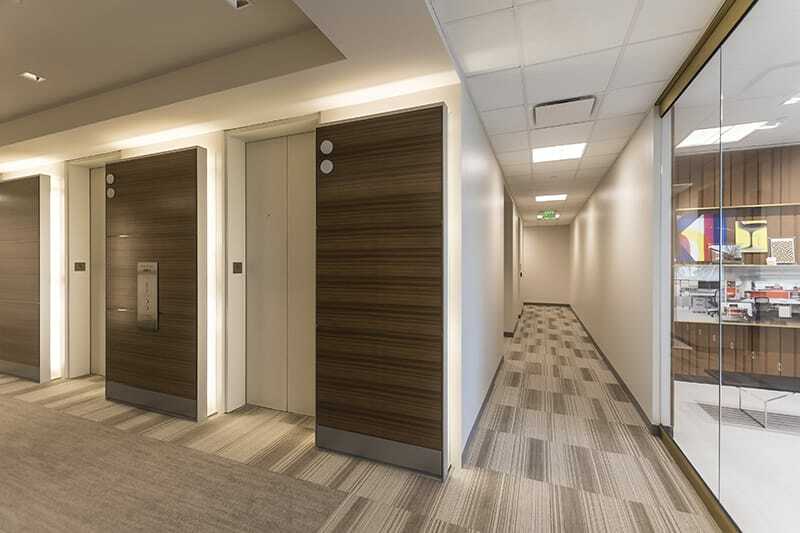 Furthermore, San Felipe Place benefited from Gilbane’s Building Information Modeling (BIM) services which increased collaboration, improved safety, accelerated processes, and reduced costs. After conducting thorough document and design review, Gilbane had already addressed several issues which would have added weeks to the schedule and thousands of dollars in construction changes had they not been resolved in the design phase.